Booker T. Washington standing on a log above a brook holding a walking stick on his right hand and his hat in his left hand. Bushes and trees are visible behind him. 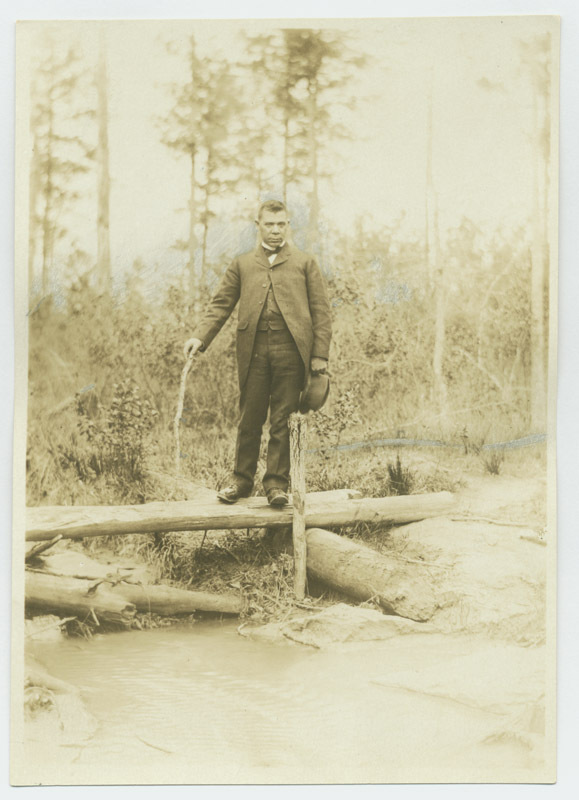 Johnson, Clifton, 1865-1940, “Booker T. Washington on log bridge,” Digital Amherst, accessed April 24, 2019, http://digitalamherst.org/items/show/1235.